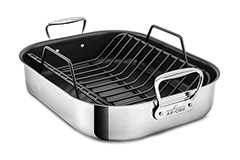 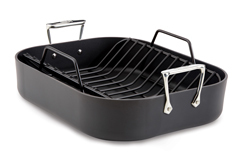 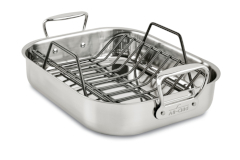 An All-Clad Roasting Pan is the perfect pan for roasting a delicious turkey or any type of meat. 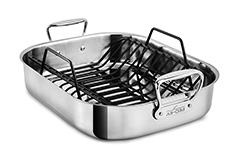 Choose from a variety of sizes, all with top quality 18/10 stainless steel cooking surfaces so your roasts retain their natural flavors. 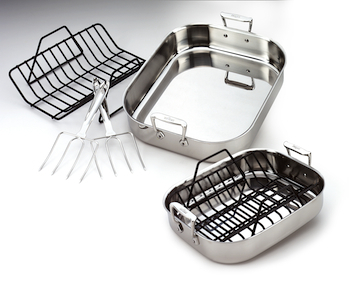 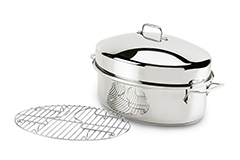 Dishwasher safe and easy to clean, All-Clad roasters, roti pans and roasting pans all have a lifetime guarantee. 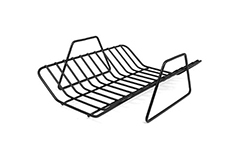 Check out our roasting racks too.